- i3 workshop is a unique guidance program for IAS aspirants. i3 means information - inspiration - initiation. It's our step-by-step process of providing perfect guidance to civil services candidates in India. What is unique about 'i3 workshop'? 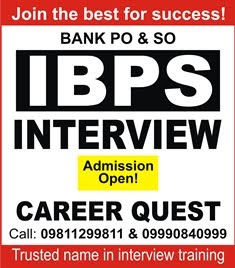 - Career Quest IAS Expert will give you detailed information about the Civil Services Examination (UPSC IAS/IPS exam). This expert will motivate you to prepare for this exam. 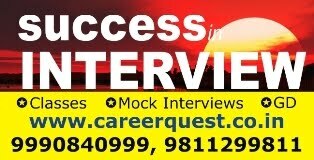 You will get case studies of Career Quest IAS Toppers. This workshop is a perfect start to your IAS/IPS preparation. Our experts will be available to you on email, throughout your preparation, to guide you. How I can join this workshop? Where? - i3 program is available in two modes. 1. Personal counselling session in Delhi. 2. We will send the guidance material by courier and you may send your queries by email. Why this workshop is must for IAS aspirants? - All of us know the fact that 'Well begun is half done'. When we think about becoming an IAS/IFS/IPS officer, we must get right information at right time, inspiration & motivation and regular contact with good resource person. This i3 workshop provides you all. This workshop will save your time and money by providing perfect personal guidance step by step. - Career Quest is charging just Rs 2000 for this unique counselling program. This is one time payment for counselling. Where I can pay this fees? You may submit the fees by Demand Draft or Cheque or Cash in favour of 'CAREER QUEST'. After a successful payment send us your name, address, phone number and biodata for counselling purpose. What I will get in workshop? 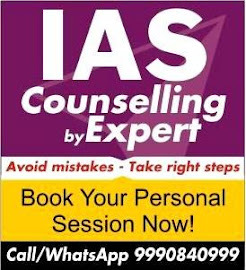 - A personal counselling session with an expert who will answer your queries and will make a plan for your preparation. After this session you will have facility to ask your queries by email. 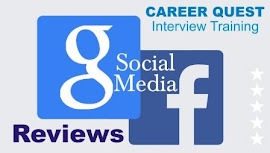 - Career Quest is Delhi based institute which provides guidance to Civil Services aspirants and provides other courses like interview training, study material etc. We also arrange workshops and special training programs in Delhi and other states.